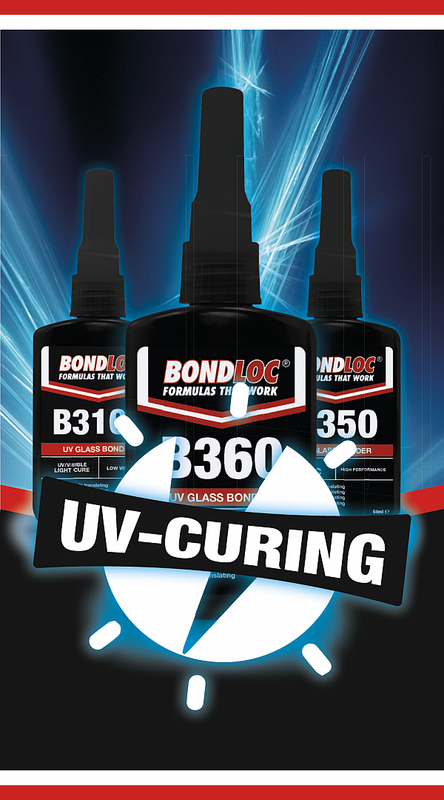 Bondloc high performance UV-Curing adhesives cure within seconds when exposed to UV light. Also known as light-curing adhesives they are easy to use single component products that offer exceptional bond strength and clarity. Producing clear bond lines Bondloc UV adhesives are suitable for glass, metal and plastic combinations.